Last night I had a hair appointment. 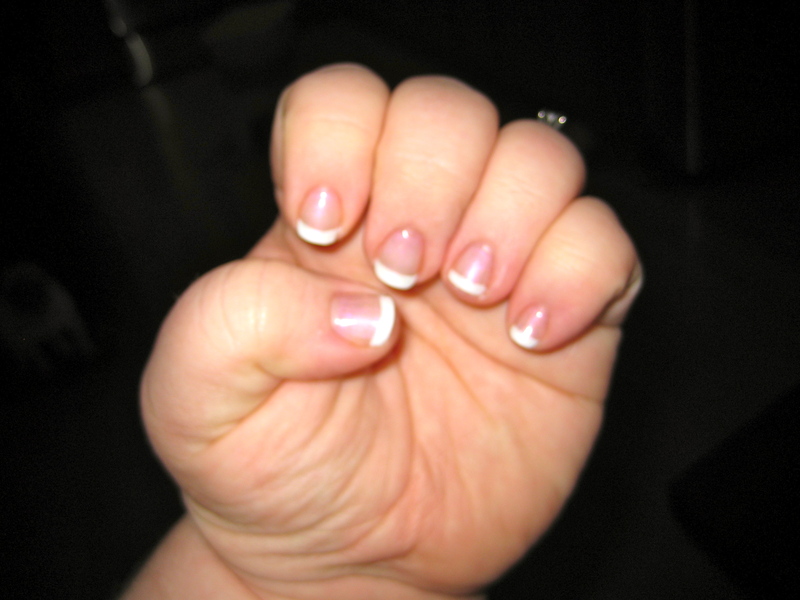 After my hair was done she gave me a Shellac manicure for free! I love it! It is supposed to last 2-3 weeks. Here’s what it looked like last night. So pretty & sparkly! can you please explain shellac to me? when I was getting a pedi yesterday someone came in asking if they did shellac. Shellac is a product line from CND. It is gel nail polish that gets cured under a UV light. It hardens and doesn’t chip like regular nail polish. They say it can last up to 3 weeks on a manicure and even longer on a pedi. It comes in all kinds of colors and the manicure process is pretty fast. So far I’m loving it!